Your corporate communications strategy should include spokesperson media training. Having a good media spokesperson on your team can make all the difference between your company gaining a good reputation or a bad one. Executive training in this area can reap huge rewards for your business – or avoid the pitfalls of an interview gone wrong. A spokesperson with the skills to get your message across on radio or television in response to difficult questions empowers you, and leaves you in control of the outcome. The Media Manoeuvres approach to executive media training is simple. Companies must have effective and efficient media spokespeople to deliver your messages succinctly and with impact. Media training should be ongoing for senior management, executives and team members. Our experienced media trainers focus on developing new skills and behaviours. We teach you how to prepare your interview game plan, control the interview, deliver consistent key messages, see the potential consequences of your words, and importantly, integrate new skills into effective performance. Improving media skills from unknown to expert prepares your executive team for the next critical media interview. Knowledge of their target audience: It is imperative to know the target audience, because these are the people with whom you want to communicate. Understanding of the media: Knowing how journalists think and work is important when it comes to communicating with the media or managing media coverage during a crisis. Understanding of their key messages: When working with the media it’s important to be consistent with key messages being delivered to the public. A good spokesperson will be able to address the media and stay on-message, whatever the question. Preparedness: Great spokespeople know how to prepare before speaking with a journalist. They can predict questions that may be asked and will always have information they can draw from, such as company statistics and facts. Eloquence: They speak with meaning and are articulate. People want to listen to what they are saying. Calmness under pressure: They keep their cool in difficult situations and concentrate on the messages that need to be conveyed. Confidence: They appear relaxed, confident, focussed and credible. They speak with power. Our programs are delivered in varying formats, which are specifically designed to match the skill level and needs of trainees. The focus for this session is an introduction to the media industry and how it works for participants who have had limited media experience or who may only deal occasionally with the media. Conducted in a group setting, the session gives participants a grounding in what the media wants, how to satisfy media enquiries, identify what is newsworthy and how to maximise public relations opportunities. Importantly, participants will also learn the danger zones and the repercussions of straying from defined spokesperson boundaries. This fast-paced, interactive course introduces participants to the skills and techniques required to effectively work with the media across a variety of situations. Combining Media Manoeuvres’ media communication models and adult training principles, you will learn how the media works and what journalists are looking for. We explore the elements of a successful interview and the attributes required to be an effective media spokesperson. Tailored for executive, specialist and professional staff, the course introduces participants to effective media control skills and builds interview confidence by assessing strengths and areas for improvement through interview practice and feedback. Techniques are ‘tested’ in a supportive environment using different forms of media (print, TV, radio, digital and social media) in realistic simulations to gain maximum interview experience. During this session, participants are expected to be able to apply key communication models and media tools using the blueprints developed in Step 1. Participants focus on their media performance by developing more sophisticated control skills, and applying a strategic approach to media communication. We focus on content and integrate the organisation’s strategic objectives with the participant’s media performance to refine media skills. 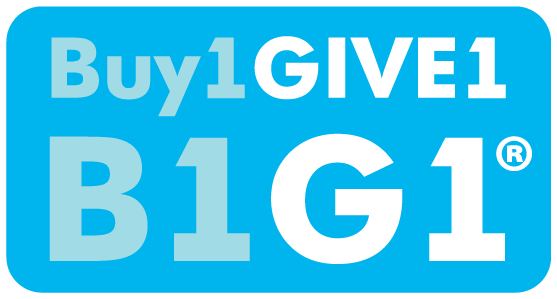 Media Manoeuvres has become a lifelong, proud member of a global business community that’s creating positive change in the world with the Buy One Give One (B1G1) programme. What that means to you is that if you entrust Media Manoeuvres with your business, we will automatically donate to a cause related to your organisation, industry or personal choice on your behalf (there is no additional cost to you).